A Team of 8 participants – 6 artists (3 photographers, 1 film maker, 2 writers) and 2 administrators (a driver and a project manager). Outcomes and experiences of the project will be shared online, on a daily basis via a dedicated blog/app. See example from our 2016 Road Trip: http://borders-within.com and our 2014 Road Trip: http://app.invisible-borders.com/. 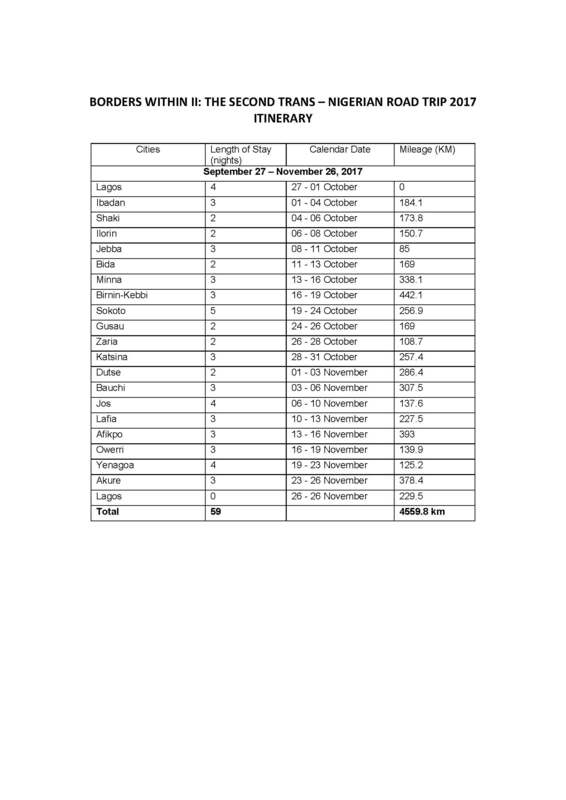 The duration of the project is 59 days from September 27 – November 26, 2017. A feature length documentary film. A book publication articulating the two editions of the Borders Within Road Trip (I & II). The book is a going to present the project as a whole, giving readers a holistic view of our travels across Nigeria. 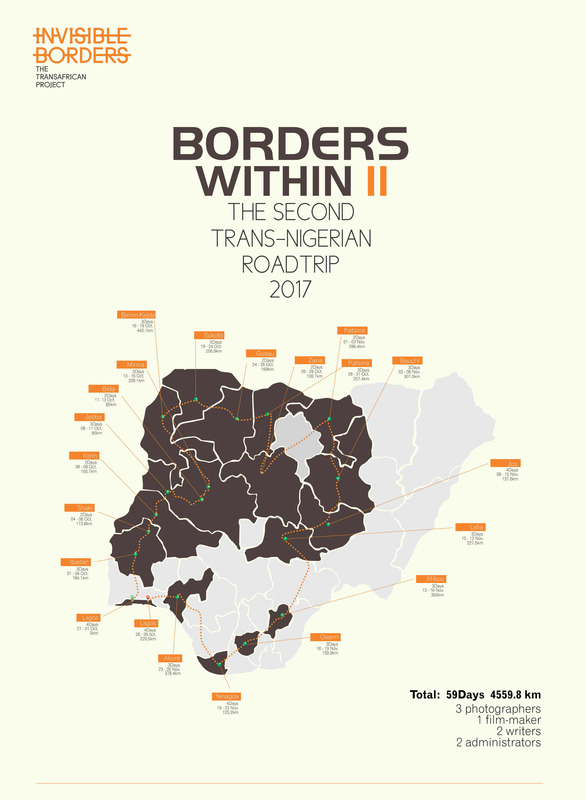 Photographers, film makers and writers invited to participate in the eight-week road trip will undertake to produce images and text that reflect impressionistic, yet critical readings of contemporary Nigeria. The central questions would be: Who am I in relation to the artificial map? How am I product of what I have been inevitably named? How do I interact across the several visible and invisible borders I confront as a Nigerian? This project follows in the tradition of the artistic road trip intervention established by Invisible Borders in the course of six editions. This implies that the artists will travel together in the same vehicle, all the while living, working and interacting with each other. The route will be fluid, allowing for detours, but equally encompassing. Beginning in and returning to Lagos, the artists will move circularly through several Nigerian cities and towns whose history shaped and continue to shape a contemporary Nigerian identity. Each participating artist will be tasked with developing one or more major body of work as a follow-up to the trip. Writers will be required to produce long travel essays (of up to 7,000 words), while photographers will be required to produce at least an encompassing body of work from the trip. Film makers are expected to produce one short film or more (depending on film maker’s capacity) not less than 15 minutes in length. This could be in form of video art or documentary. In addition to this they are expected to produce snippets of films (1 to 2 minutes of length, at a pace of one per week), which will be shared on the blog of the project in the course of the road trip journey. A dedicated blog will be set up through which the artists will share snippets of processes and outcomes of the project on a daily basis via the internet. 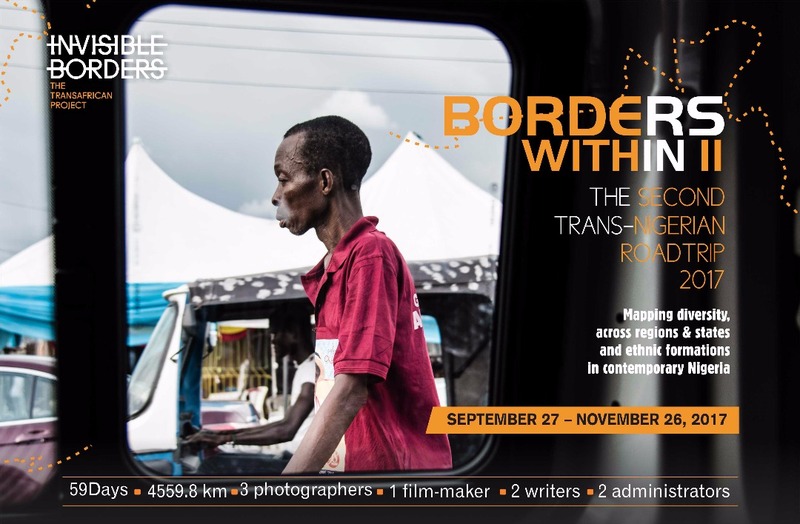 An example of such online platform is that of the first edition of the Borders Within Road Trip, 2016 (http://borders-within.com) and the Trans-African Road Trip – Lagos to Sarajevo, 2014 (http://app.invisible-borders.com/). Artists interested in participating in this years road trip should apply here. 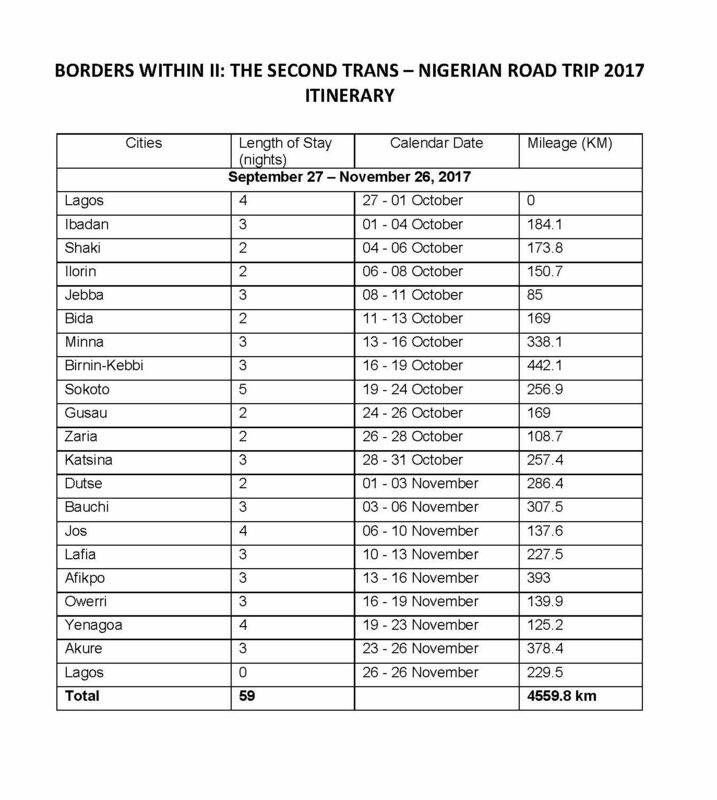 For more information write to: i.ekejiuba@invisible-borders.com, info@invisible-borders.com or e.okereke@invisible-borders.com.